Key skills: Decision Support Systems, Integrated Water Resource Management, Programming, Databases, Modeling, GIS, Statistical analysis and Hydrology. Frank’s focus is on implementing Decision Support Systems (DSS) for Integrated Water Resource Management (IWRM). 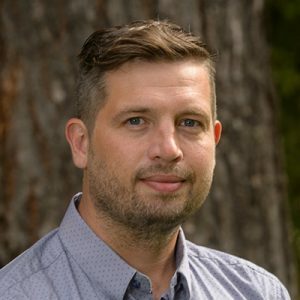 He specialises in scaling the solution to match the size of the problem, using his experience working on projects ranging in scale from local (the Middle Vernon Creek Decision Support System), to regional (Okanagan Fish/Water Management Tool), and state-wide (the Sacramento River and San Francisco Delta Ecological Flows Tool). Frank is a Systems Ecologist with over 16 years’ of professional experience, of which half has been spent working in California. He considers himself a hybrid specialist because of his understanding both environmental and computer science, bringing a holistic approach to his projects. This ability is particularly useful when working with Decision Support Systems, which Frank has designed and implemented in partnership with multiple groups of water managers and biologists to achieve objectives in IWRM. He is currently applying the principles and lessons learned from the Okanagan Fish/Water Management Tool to the nearby Nicola Watershed in close cooperation with local stakeholders. Over the past eight years, he has developed multiple ecosystem models for the Sacramento River and the California Delta, including models for green sturgeon, bank swallows, delta smelt, longfin smelt and Large Woody Debris recruitment. Most recently, he analysed alternative fish-friendly flows for the California water system by looking at re-operating the full hydrological modeling suite from monthly planning models (CALSIM) to daily and sub-daily models of flow, stage, temperature and salinity for the Sacramento River (USRDOM and USRWQM) and the Sacramento–San Joaquin River Delta (DSM2) using artificial intelligence and multi-objective optimization. This approach is currently being considered as a backbone for developing an in-season decision support system and he is keen on continuing applying artificial intelligence (e.g. Particle Swarm Optimization and Pareto Frontiers) to environmental problems. Frank has also worked on multiple environmental impact assessments, including the Environmental Assessment of the Site C Clean Energy Hydroelectric Project for BC Hydro and the Roberts Bank Terminal 2 Project for Port Metro Vancouver. For both assessments, Frank’s contribution was modeling impact to mainly aquatic systems using Ecopath with Ecosim. Frank has also been a lead developer/architect of two free GIS tools: The River Bathymetry Toolkit (RBT) and the Geomorphic Change Detection (GCD) software. Frank earned his M.Sc. in Engineering at the Technical University of Denmark, where he split his coursework between environmental and computer science. For his thesis work, he developed a Numerical Model of longline Blue Mussel growth for the National Environmental Research Institute in Denmark. Mr. Poulsen’s work experience includes fieldwork for Parks Canada, establishing his own consulting company, and working for the Alaska Department of Fish and Game where he analysed patterns of habitat use by Marbled Murrelets. When Frank is not working he is typically busy with his 6-year old twins, hiking with his wife or kiteboarding. Frank lives in Squamish, B.C., and is passionately curious about his local environment, trying to learn as much as possible from both his own experience and interacting with the local environmental groups.